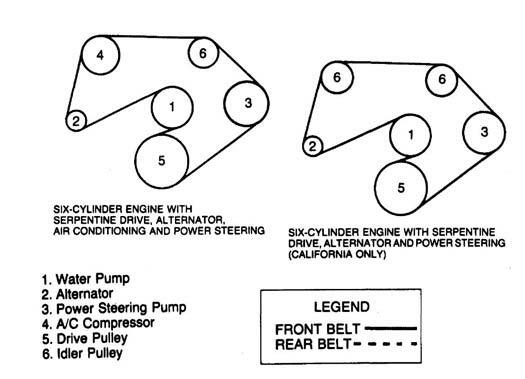 Two drive belt systems are used on Jeep vehicles. 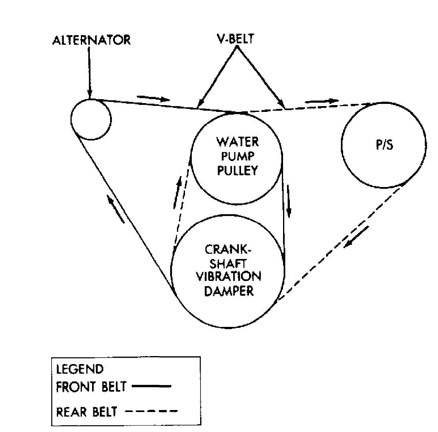 The conventional V-Belt and the single Serpentine or V-Ribbed belt. 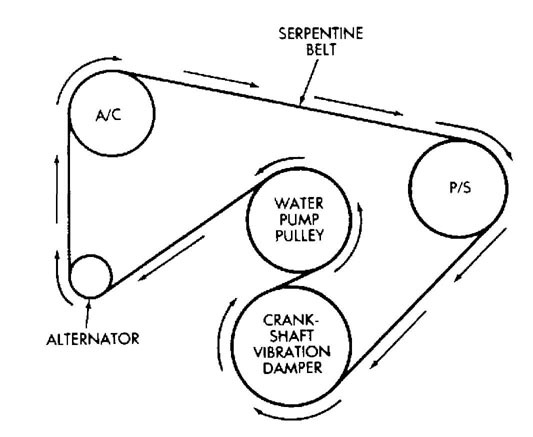 The single (Serpentine or V-Ribbed) drive belt system has been adopted by several manufacturers as a replacement for multiple V-Belt systems previously offered. 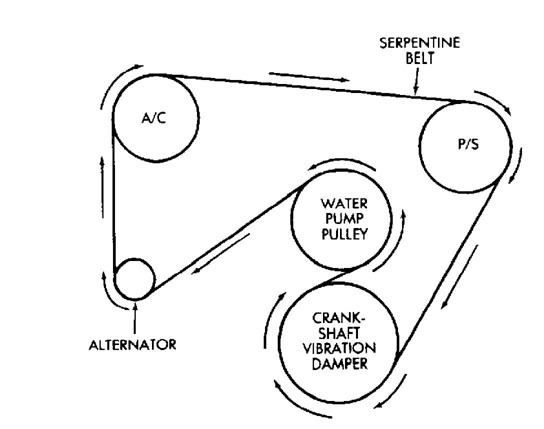 The Serpentine belt requires a suitable belt tensioner similar to those used to control timing belt tension. Use of a tensioner allows engine accessories to be mounted rigidly on the engine. 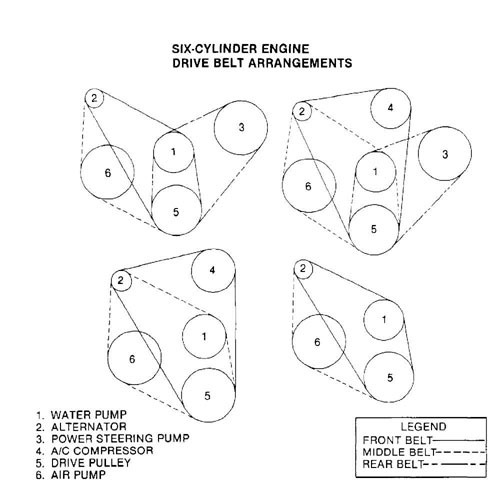 The single belt drive system has a predicted life of 100,000 miles before replacement is required. 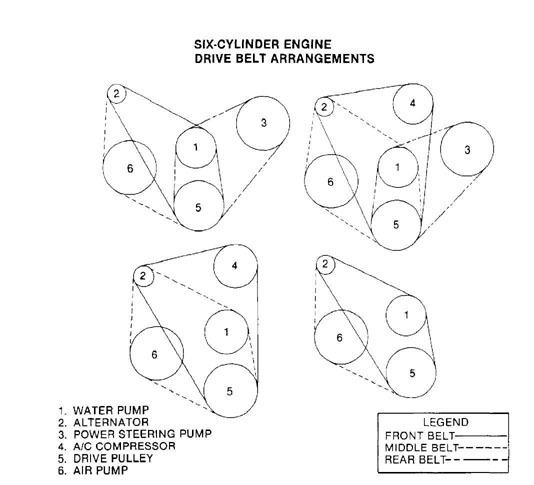 The belt tensioner has a wide functional range and is capable of maintaining tension during the expected life of the belt. 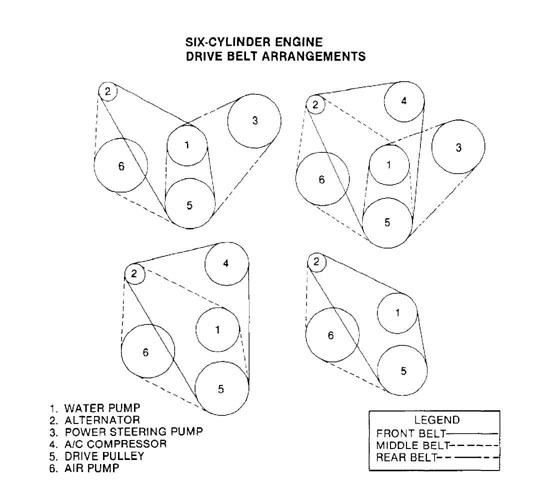 Tensioner cannot compensate for extreme belt lengths. 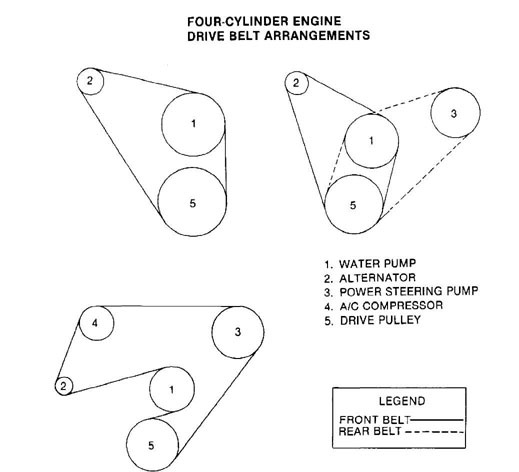 Poor tension control and possible tensioner damage can result from excessive belt length. Inspect belt for fraying. 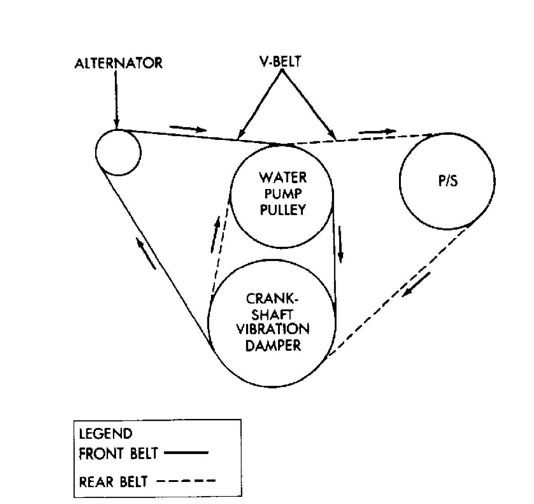 If fraying has occurred, ensure belt and tensioner are aligned properly. See Fig. 1. 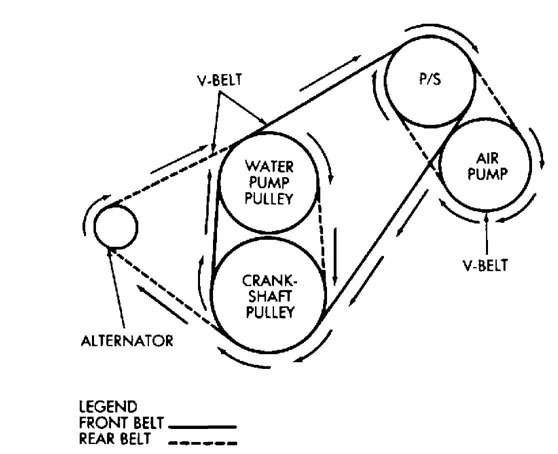 If tensioner has reached its limit of travel, belt is excessively stretched and replacement of belt is required. 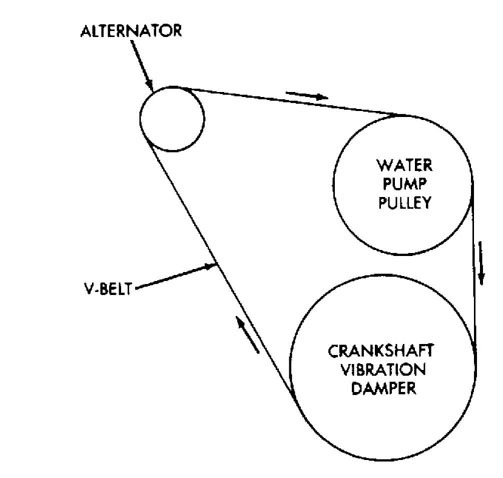 If excessive noise is noticed from tensioner or idler, check for possible bearing failure. Small cracks in the back of the belt are acceptable. 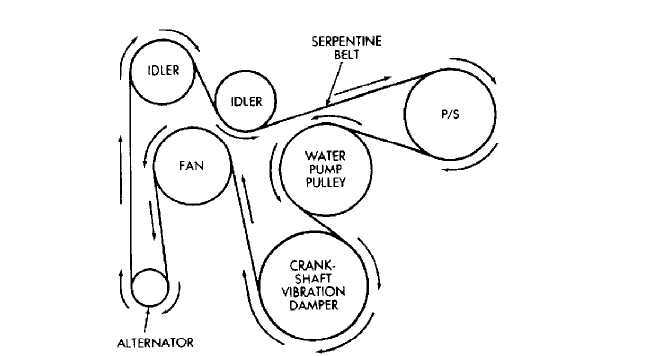 Do not apply "Belt Dressing" or any other additive to serpentine belt. Fig. 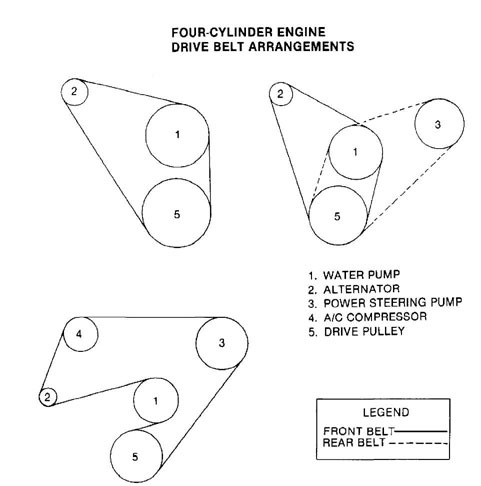 1: Serpentine Belt Alignment Courtesy of Ford Motor Co. 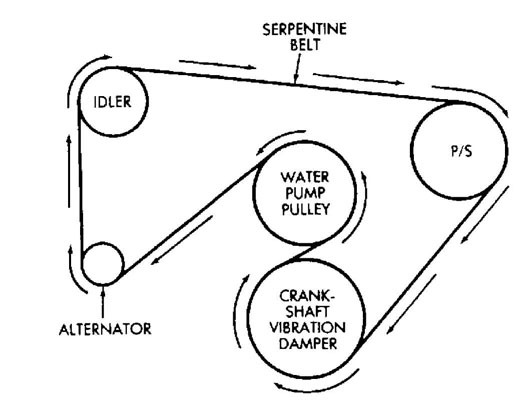 Install belt on crankshaft and belt-driven components as shown. 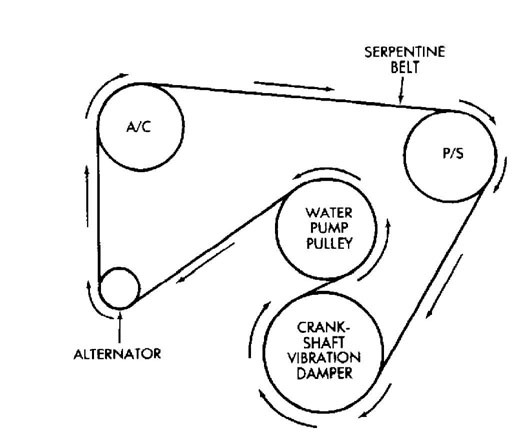 Adjust tensioner. See Figs. 2 and 3. 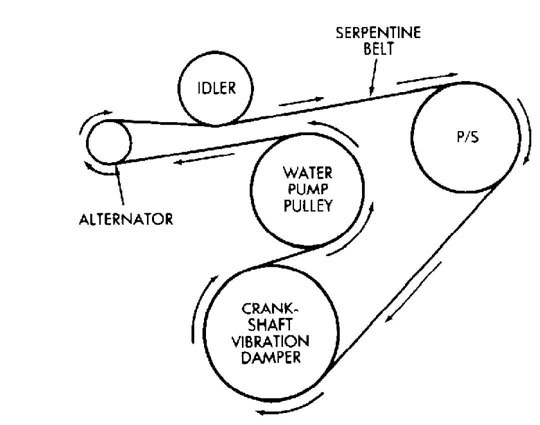 Install belt on crankshaft and belt-driven components as shown. 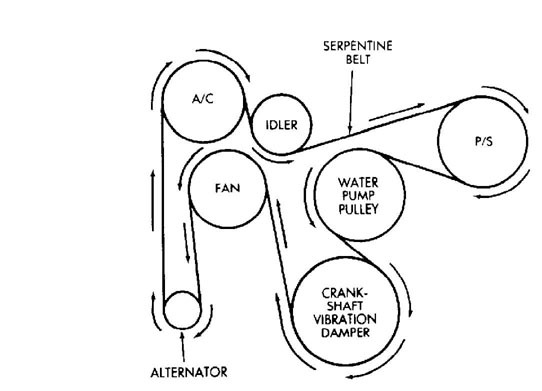 Adjust tensioner. See Figs. 4-10. 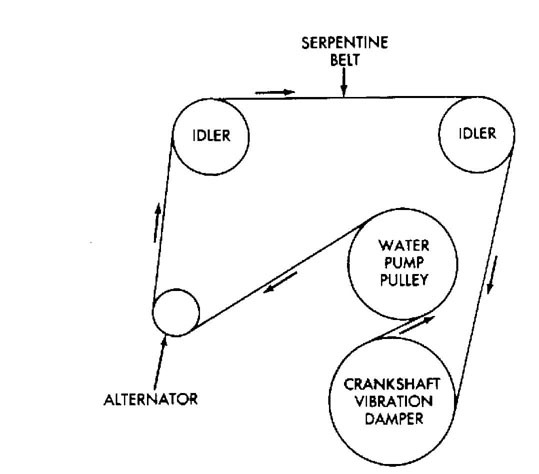 Install belt on crankshaft and belt-driven components as shown. 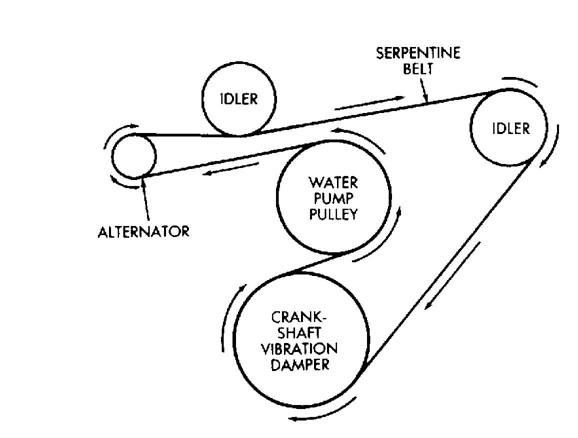 Adjust tensioner. See Figs. 11-18. 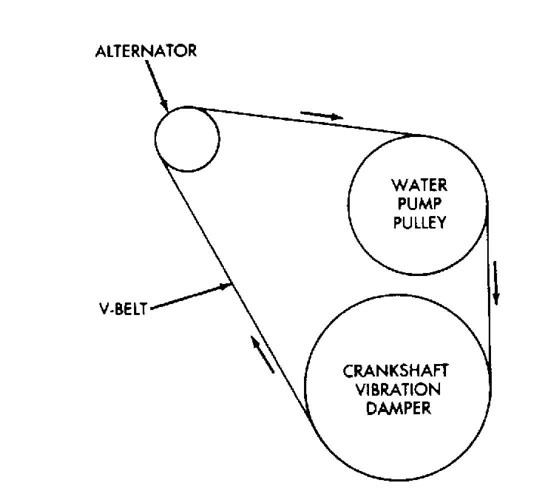 Install belt on crankshaft and belt-driven components as shown. 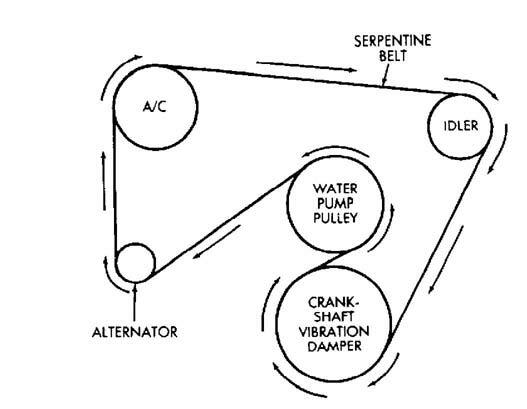 Adjust tensioner. See Figs. 19-24. LEGEND FRONT BELT . 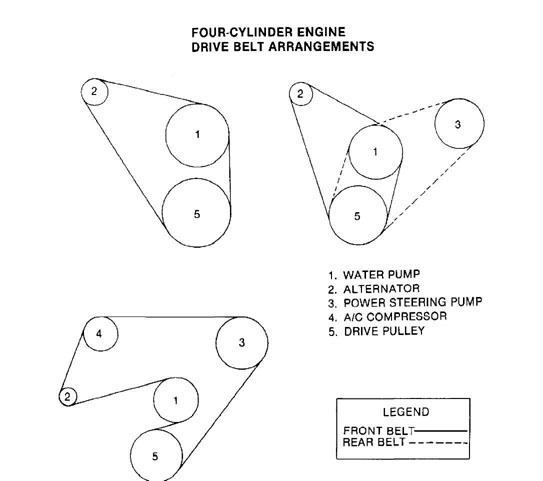 REAR BELT .